Great incentive to finally clean out your craft closet! Bring your beads, fabric, feathers, clay, yarn and more to trade with fellow artists at Florida CraftArt. Please leave any finished or partially finished projects at home. Craft supplies can be dropped off beginning Monday, February 22. 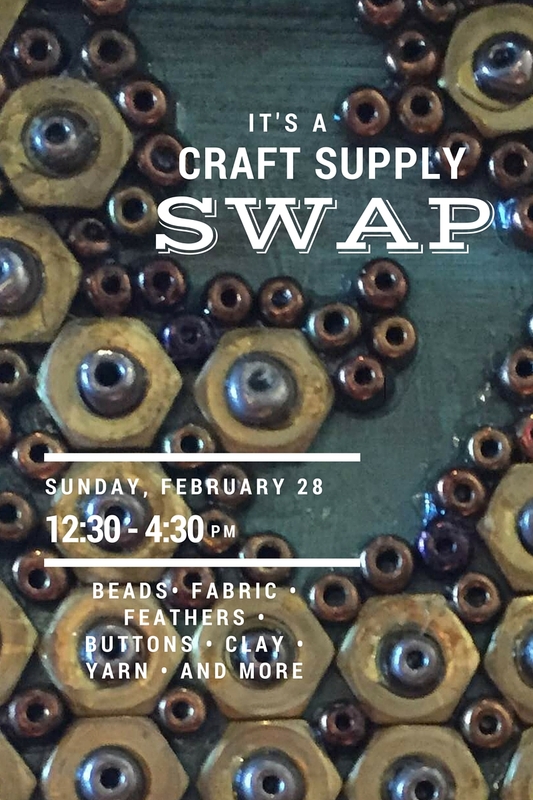 The craft supply exchange will run from 12:30 – 4:30 pm on Sunday, February 28. Come find special treasures for your next projects! Any remaining supplies will be donated to Campbell Park Elementary’s art program.